When the Hero Honda Karizma hit the Indian roads back in 2003, it did not remain just another bike. It went on to become a cult. It was a semi-faired bike that offered an unmatchable performance. 10 years down the line, the bike is pretty much similar to the initial one barring a few cosmetic changes. But the performance biking industry has changed a lot since then. What was a leader once is just another bike on the sales charts but Hero is not done with the bike. The Karizma R(as we know it now) is due for a major overhaul and the revamped bike has already started doing the rounds. Some dealerships across the country have started receiving the first lot of the new Hero Karizma R and Karizma ZMR. Deliveries of new bikes could begin as soon as the company officially announces the launch of the bikes in the country. Meanwhile, the prices of the bikes have been revealed. We will update this story as more news comes in, stay tuned. 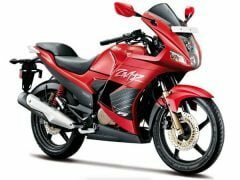 Hero Mootocorp will launch the new Hero Karizma R and Karizma ZMR this month. Units of both the bikes have already been sent to various dealerships across the country as the company gets ready for the launch. The new Hero Karizma will be a semi-faired unit and will feature the rear view mirrors mounted on the windshield. The current generation Karizma has its rear view mirrors on the handle bar. It will get a disc brake at the rear as well in addition to the front disc brake. The bike has been spotted without a rear disc brake as well, suggesting that Hero might launch two variants of the bike. It will come shod with slightly raised clip-on handlebards and alloy footrests. It gets a small mudguard attached to the raised rear profile of the bike. The drive chain is an exposed unit as well. It will get telescopic forks up front and gas charged shock absorbers at the rear. The side profile of the bike is also completely different from the current bike. The front also looks sportier even though it is beneath a heavy camouflage. The next generation Karizma is also expected to get tubeless tyres which are sorely missed on the current generation of the bike. 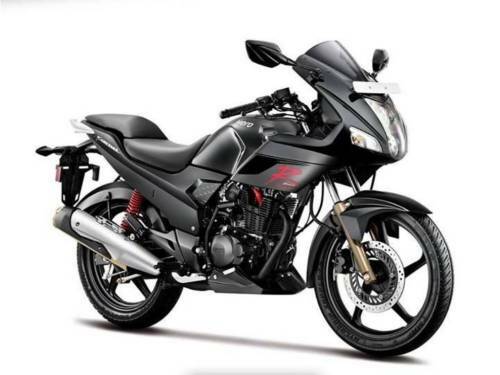 Hero has revealed that it is working on a 250cc engine so this bike might be the one to get it. Alternatively, there is talk that the new bike could be powered by a Honda-sourced 225cc, single-cylinder engine which could be mated to a five-speed transmission. The bike is expected to rival the likes of the Bajaj Pulsar 200 NS, the KTM Duke 200 and the Honda CBR 250R.